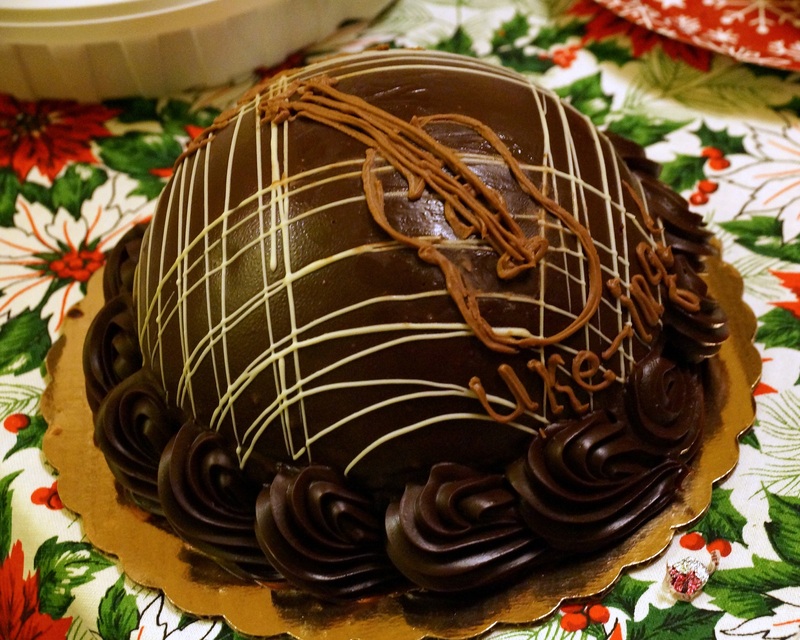 December 10, 2015: Mele Kalikimaka, y’all! 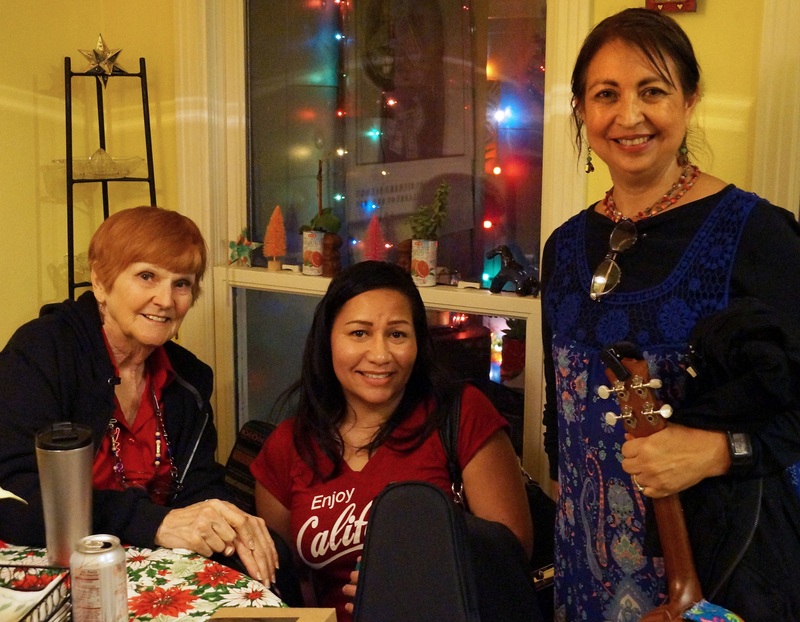 Merry Christmas, Mele Kalikimaka, Feliz Navidad, Joyeux Noël, and Frohe Weihnachten! 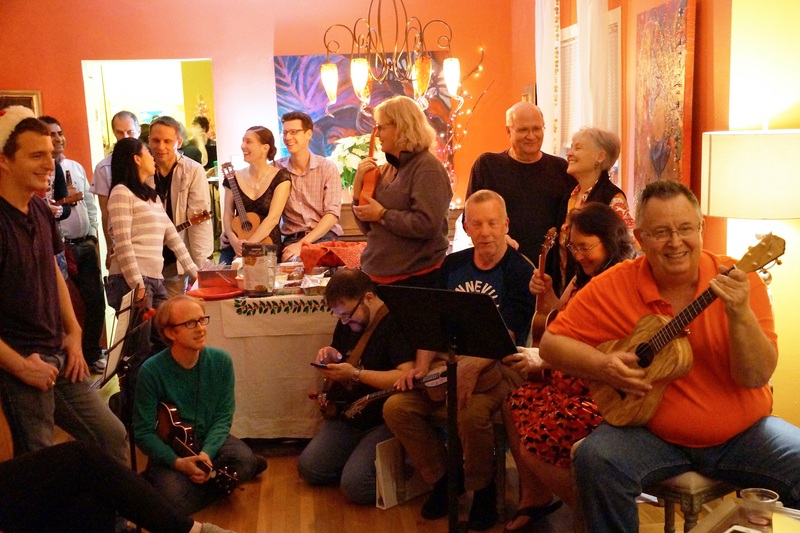 The Austin Ukulele Society’s December 10, 2015 meeting kept a great tradition going with our 5th (!) 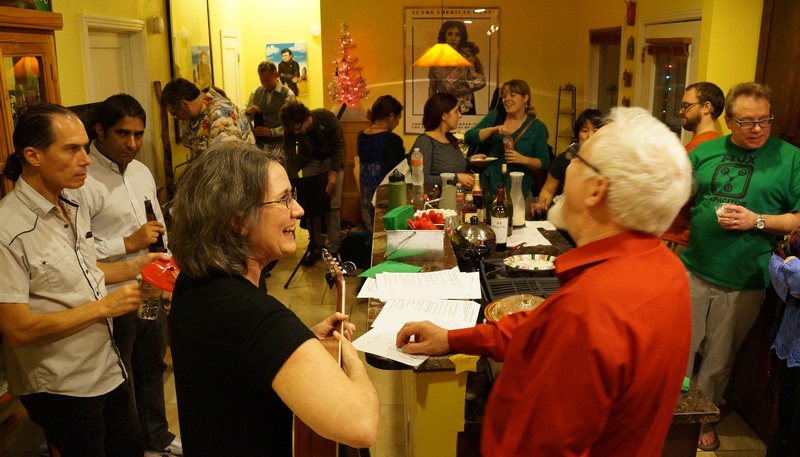 Annual Holiday Potluck and Jam at Susan and Ted’s lovely South Austin home. 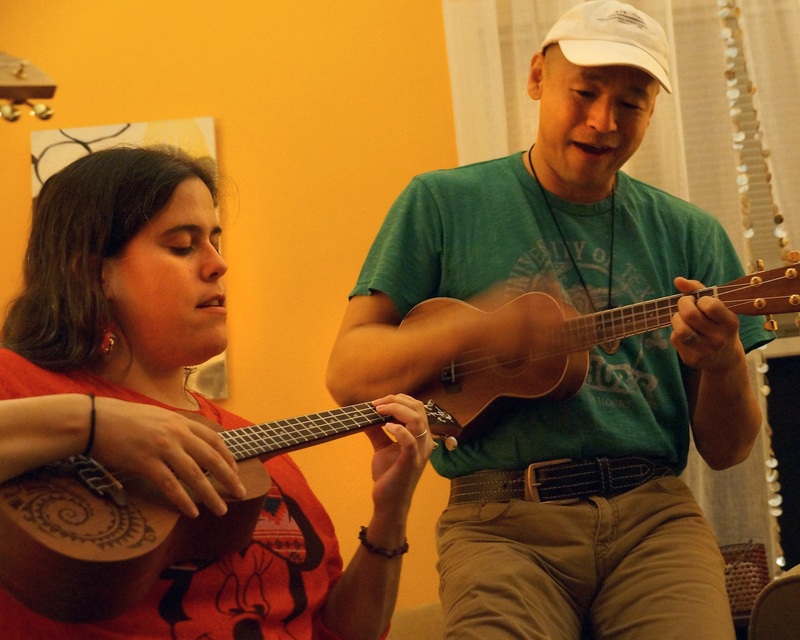 We enjoyed the chance to chat with old and new friends, eat and drink, and play ukulele music together! 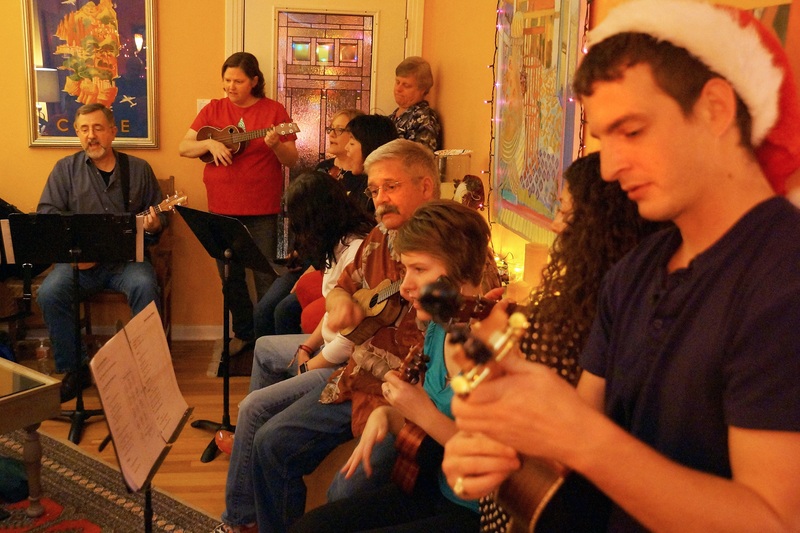 We sang and played our holiday favorites. 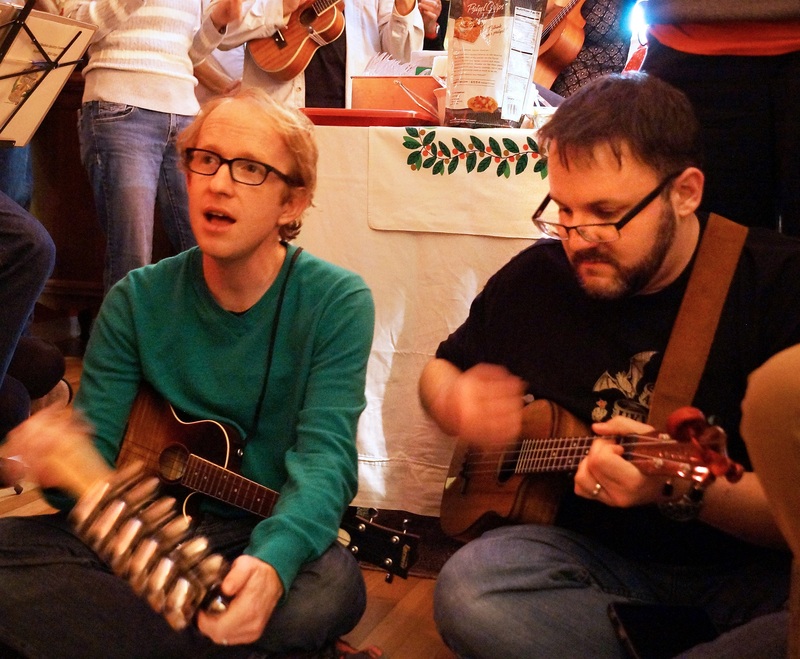 You can download a copy of our “Holiday Song Book” with the lyrics and chords for Christmas songs we’ve played together over the years. 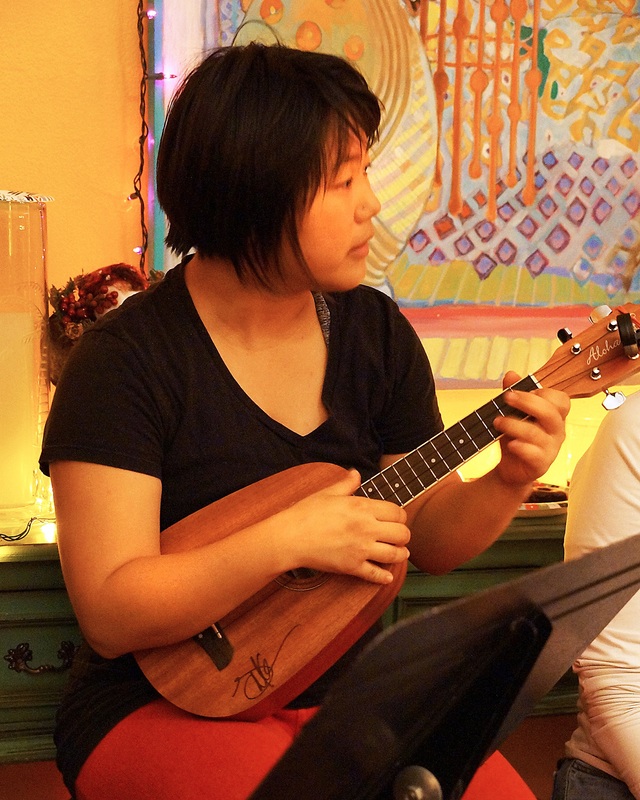 You can also strum along with us! 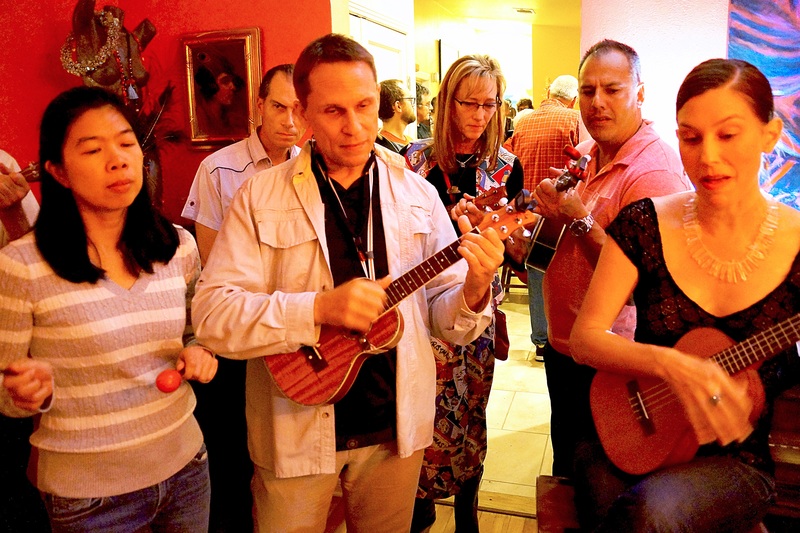 Here we are at our November meeting, playing the Hawaiian/hapa-haole classic “Mele Kalikimaka” with a touch of “Jingle Bells” added in for jolly good measure. We look forward to seeing everyone at our next meeting on Thursday, January 14th, 6:30–9:00pm as we kick off our 6th year together!! 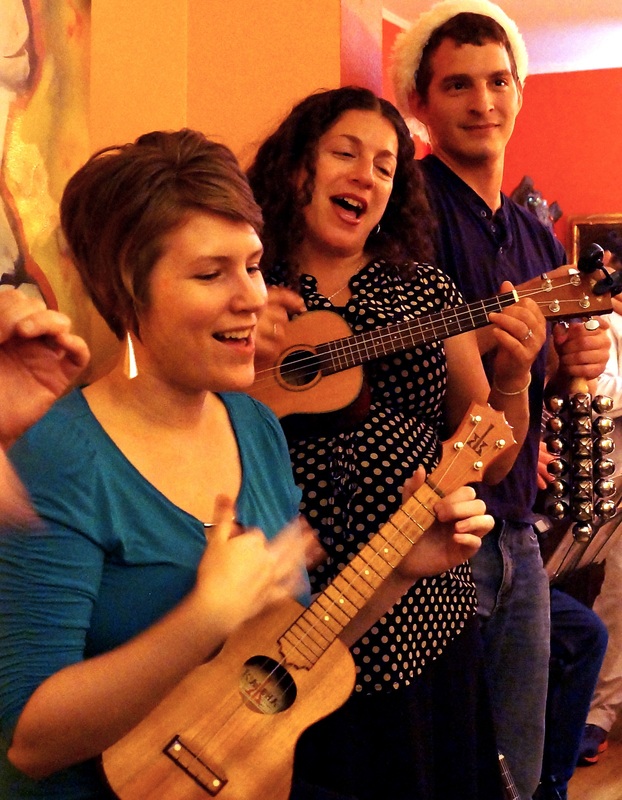 This entry was posted in AUS activities on December 21, 2015 by Austin Ukulele Society.